Head Mounted Eye Magnifier V5025 . 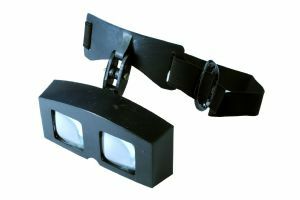 Head Mounted Eye Magnifier (V5025). Another brilliant product brought to you from Proops Brothers Ltd.
1x, 1.5x, 2x, 2.5x, please choose from the drop down menu which magnification you need.